Join the Galactic Federation as a Recruit. Take a tour of the Galactic Federation Teleportation Center and witness live teleportations from everywhere in the galaxy. Start off touring the Galactic Federation Teleportation Center and see prisoners get transported into the facility. 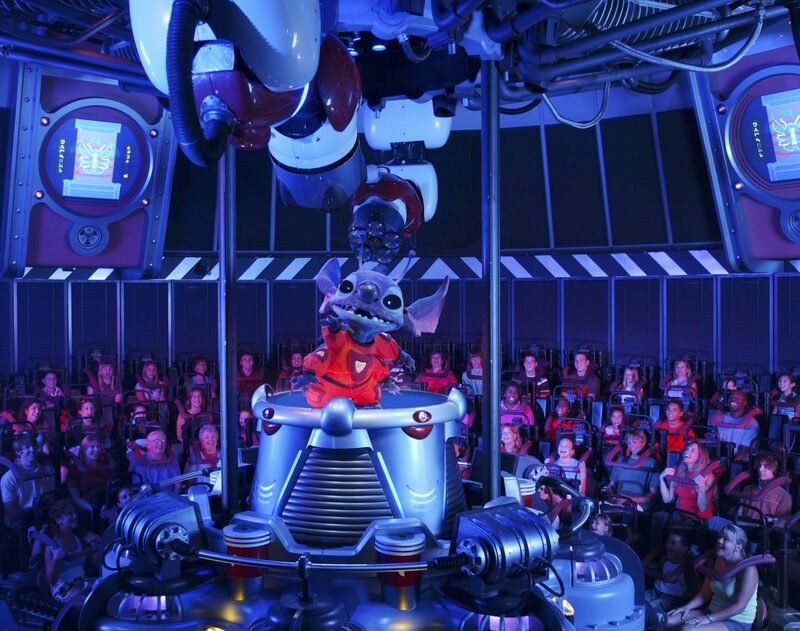 Guests are then lead into a circular theater with effects that feature the special abilities of Stitch. A restraint system is lowered onto the shoulders of guests to prevent them from standing during the show. The whole experience lasts about 15 minutes and can be frightening for younger children due to the dark atmosphere, loud noises, and restraint system.